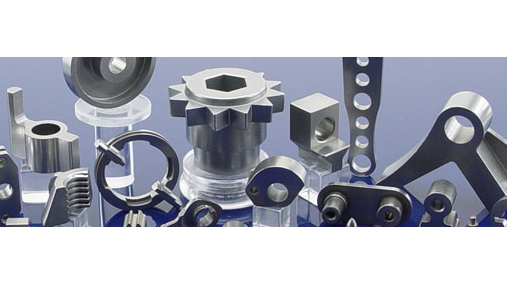 Powder Metal Gears – Perry Tool & Research, Inc.
Powder metal gears are found in aerospace, agricultural, automotive, building and construction, marine transportation, material handling, medical, military, petrochemical, pharmaceutical, power generation and robotics industries. The demand for application specific metal gears has led to the introduction of several types or styles such as anti-backlash, bevel, miter, chance, cluster, differential, helical, herringbone, hypoid, internal, planetary, spur and pinion gears. 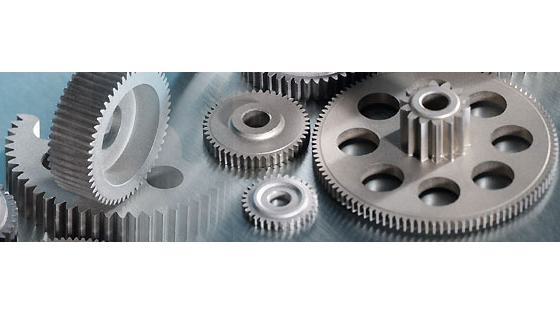 While these mechanisms can be produced in a number of machining processes, powder metal parts provide several advantages over traditional gear manufacturing methods. Most of the benefits arise specifically from the versatility allowed in press-and-sinter processing. The ability to produce multilevel gears, internal configurations and very close tolerance components eliminate or reduce the need for secondary operations, thereby cutting costs and saving time. Powder Metal Mechanical Parts – Perry Tool & Research, Inc. The uniformity and reproducibility of these parts gives further economic value to powdered metal gears. Additionally, the porosity of sintered elements such as these allows for oil or resin impregnation which creates self-lubricating components, a feature that prolongs the working life of not only the gear, but the motor of which it is a part. The porosity, which can be closely controlled to suit specific requirements, also dampens sound and reduces the weight of a given part. There are three basic steps to powder metallurgy, the process used to create powder metal gears. First, any of a number of techniques including atomization, flaking, pulverization, chemical reduction and electrolytic are used to reduce the initial raw metallic materials to a fine dust or powder. Specific amounts of this powder are then placed into the compaction die or mold where pressure is applied from both above and below in precise amounts relevant to the specific materials and intended use of the finished gear. This mold is pre-formed and results in the desired gear shape. After this form is ejected from the die, sintering is used to fuse the powder particles together. The parts are placed on a moving belt which draws them through a controlled-atmosphere furnace, heating the compressed powder to just below the melting point of the raw materials. This temperature varies greatly, though a general rule is to use a temperature that is 2/3 that of the melting point for the primary metal. In this manner, the mechanical bonds of metal powders are converted into metallurgical bonds creating a solid mass from the powder. Gears can be composed of either a single metal or a composite material. Common metals include aluminum, brass, bronze, cast iron, carbon or alloy steel, magnesium and titanium. Beyond materials, further considerations include, gear type, number of teeth, design units, tooth form, direction, gear center, pressure angle, gear features and mounting requirements.